The iconic footwear shop that has made its spot in nearly every mall, Browns carries men’s, women’s and children’s shoes and boots in the latest styles. They have everything from Keds and Uggs to Manolo Blahnik. Flats, loafers, pumps and sneakers in the finest materials and fashions are offered in nearly every size, and they can be found for some of the best prices. Whether you’re looking for the hottest pair of heels or a stylish way to brave the ice- browns is the option to dress your feet best. 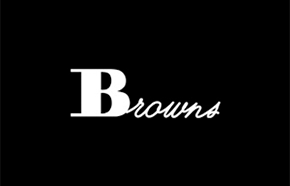 Boxing Week up to 70% off your purchase at Browns Shoes Canada. 500+ AH-mazing styles. On selected styles. Online and in-store. Shop Boxing Day 2013 at Browns Shoes! Browns Shoe's Boxing Day Sale is up to 70% off selected merchandise! It seems most of the items are around 30% off, which is still a good deal if you were looking to buy boots from Browns Shoes anytime soon. Click here to Shop at Browns Shoes for their up to 70% off Boxing Day 2013 Sale. Get ready for massive sales at Browns Shoes this holiday. Although advertised as a Boxing Day sale, reductions can already be found online and let’s just say these savings are big. The top deals offered this Boxing Day range from 50% to 70% off! If you can’t wait for these prices to hit stores, shop online today. Be sure to save on your shipping if your order goes above $198 as well.